Cory Shiozaki and Richard Imamura, director and writer of “The Manzanar Fishing Club,” will screen their documentary on Thursday, Feb. 18, from 6:30 to 9 p.m. at LH-151 on the CSU Long Beach campus in commemoration of the Day of Remembrance. They will take part in a Q&A with fisherman and former internee Kiyomi Mizutani, who appears in the film, and free DVDs will be available to CSULB students, staff and faculty (with ID). For others, DVDs are available for $10. Admission to the event is free. The film tells the true story of Japanese American internees who slipped away under to cover of night to find freedom and adventure matching wits with the prized trout of the Sierra Nevada’s high-altitude lakes and streams. The filmmakers are pictured at the CSULB Asian American Studies Reunion last September at the Earl Burns Miller Japanese Garden on campus. 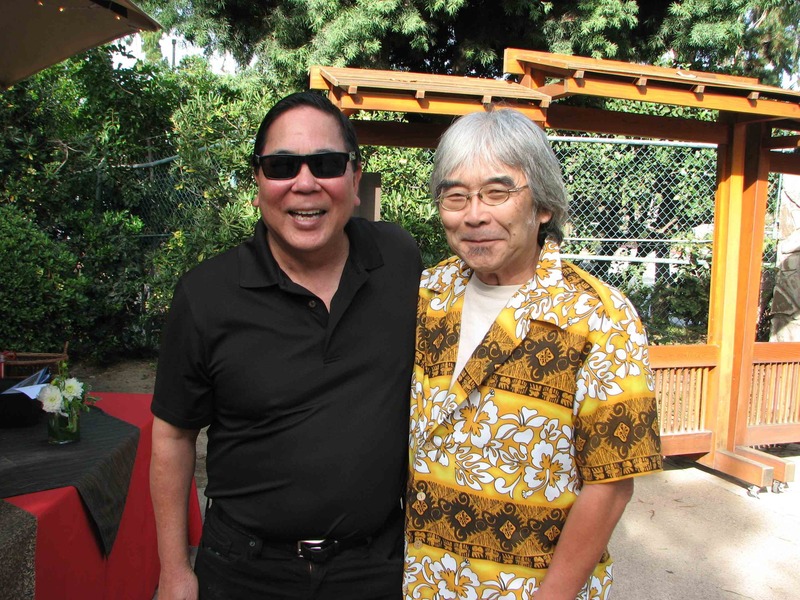 There Shiozaki reconnected with old friends and faculty such as Dan Kuramoto (of Hiroshima), who was his Asian American cinematography professor, and met Linda Maram and Barbara Kim of the Department of Asian and Asian American Studies. This resulted in an introduction to faculty member Larry Hashima, who organized this week’s event. The commemoration will include proclamations from the offices of Long Beach Mayor Robert Garcia and Los Angeles County Supervisor Don Knabe of the 4th District. Visitors may use Parking Lot 4 on West Campus Drive, which is open for public parking at 5:30 p.m.
For more information on the film, visit www.fearnotrout.com or the Facebook page.